As an author, occasional broadcaster and regular preacher – I cannot claim to be shy. In fact, I genuinely love to use the gifts of communication which God has given to me in all these contexts. To be honest, there is a certain frisson of excitement at being handed the ‘speaker’ badge, or the lapel microphone. It is the same frisson which enables an actor to assume another person’s identity or a fireman to climb the ladder towards the smoke. It is born of a sense of calling, I suppose. If ever the day comes when I lose that jangling edge on a Sunday, it will probably be the last sermon I ever preach. 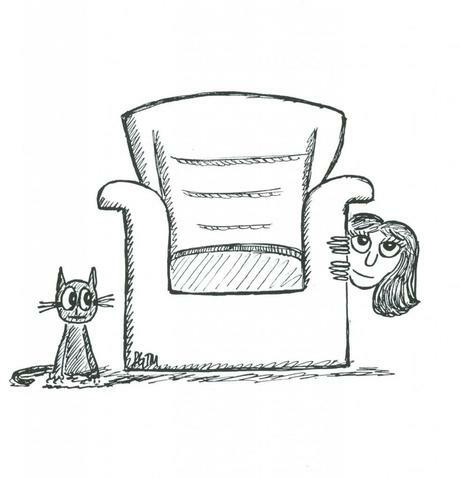 That said, there are moments when I feel just like Shy Samantha, in the cartoon drawn years ago for me by a friend. As I watch the numbers and excitement mount regarding tomorrow’s CNMAC conference, I will confess to a certain unease. This is not my usual context, and it is not very familiar turf. This can be a good and a bad thing. Nerves can act as an agent to sharpen the speaker’s motivation to do well. A sobre and honest assessment of your suitability for the task reminds you that you rely on an altogether higher source for inspiration and strength. For good or ill, prayerfulness is often born of panic! I still try to do it – both standing tall and remembering for whom I am doing it. May the same be true for all my colleagues tomorrow.